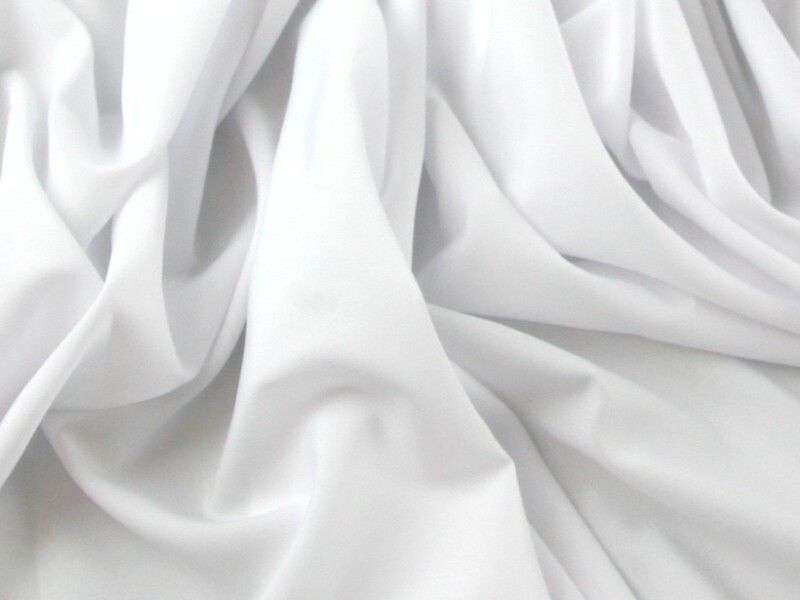 This gorgeous polyester crepe fabric has a soft smooth finish and has a lovely soft drape. It is made of 100 percent polyester fibres so this fabric will not easily crease and it is machine washable and easy care and at a great price too. It is a light weight fabric and is so versatile! You can make so many styles of clothing with this fabric including tops, blouses, skirts and dresses. It is also ideal to use as a soft lining for other fabrics. It comes in a fantastic colour range with a colour to suit every taste and occasion. It is a must have for your fabric stash! Used this for camisoles. It is reasonably crease proof, not see through, soft and quite light weight. You do need fine pins. The chocolate brown is quite light in colour. This is a great fabric for draping garments. I've used many times recently for children's dressing up outfits - fairy dresses, witches capes etc. The quality is very good and there are so many colours to choose from. I have purchased several colours and would recommend for any project needing a nice soft draping type fabric. The price is very good to - well worth trying. Ive made a fee basic cami tops from this fabric and its perfect. Easy wash, easy to sew. The drape of this fabric is so gorgeous, feels so luxurious!! the price is amazing, the colours are amazing. Have used it for both lining and for the main garment fabric. Bought lots of the colours so far and plan to buy more! Fab! Colours are true to screen, lovely fabric, would definitely recommend. Fantastic value! !